Move over, Fiestaware: There’s something prettier for our tables. 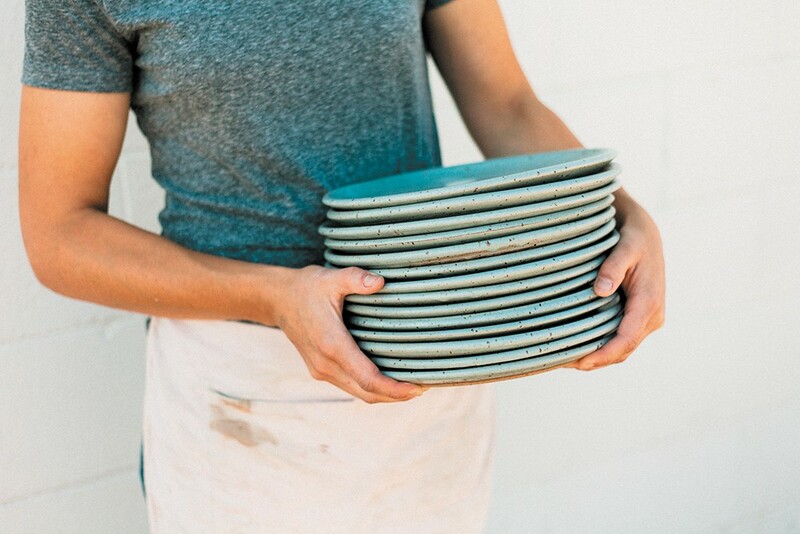 KJ Pottery, a pottery dish line crafted in Spokane by artist Kelsey Jo Johnson, is rapidly gaining traction locally and across the country, as customers place their orders for the handcrafted pieces. A simple style, with clean lines and colors, is her signature, although Johnson didn’t set out to make it that way. Being present includes putting down roots in Spokane, making it her home and business headquarters. In 2012, Johnson moved to Spokane from Colorado to finish her undergraduate work. Like many before her, she was captivated by the beauty of the area, and never left. Some of Johnson’s coveted dishwear. The majority of Johnson’s sales are e-commerce orders from her website, Etsy and Instagram, but an increase in local support is the catalyst for her moving her shop to the Garland District in August 2017. “I’ll be working and selling in my new space, and I’d love for people to come say ‘Hi’ and introduce themselves,” she says. 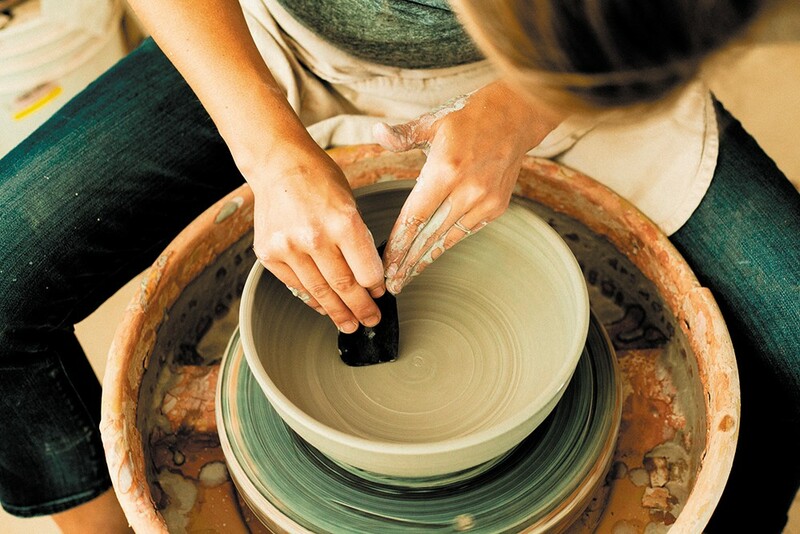 Johnson introduced her artwork to the community in 2014, and has been busy at the potter’s wheel ever since, working in a medium that captures her mind and passion.